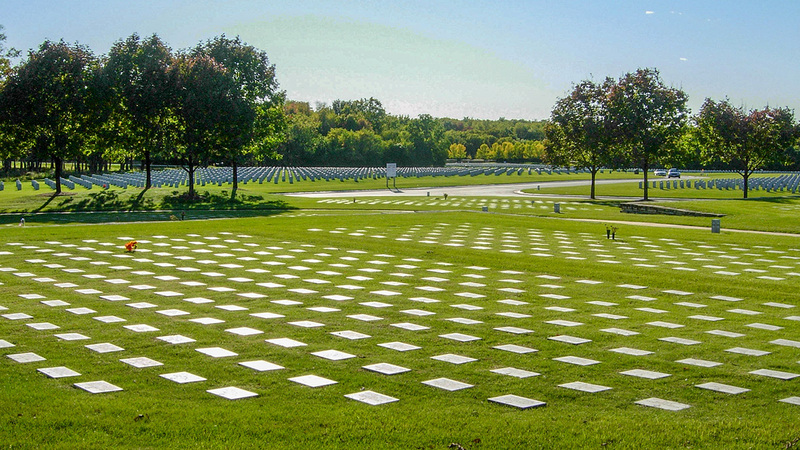 Located approximately 50 miles southwest of Chicago, this national cemetery, at 982 acres, is one of the largest in the United States (second only to Calverton National Cemetery in Calverton, New York). 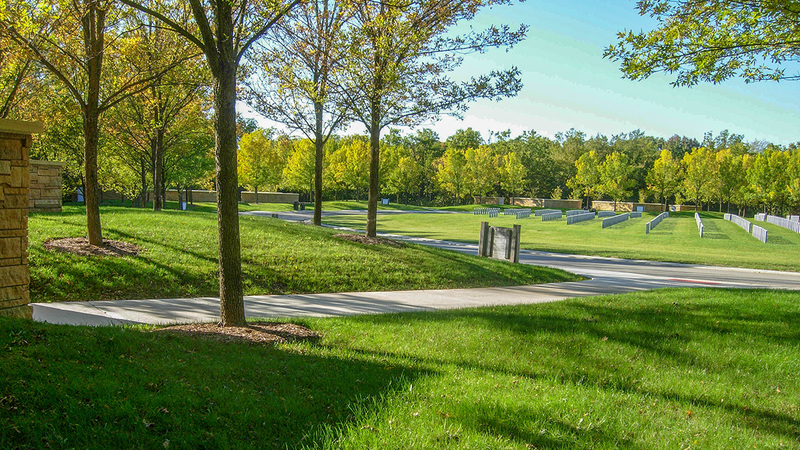 Dedicated in 1999 by the United States Department of Veterans Affairs National Cemetery Administration, the grounds were constructed on a portion of the 24,000-acre former Joliet Army Ammunition Plant, which manufactured munitions during World War II, the Korean War, and the Vietnam War. Most of the site was remediated and conserved as the Midewin National Tallgrass Prairie (MNTP) in the 1990s. 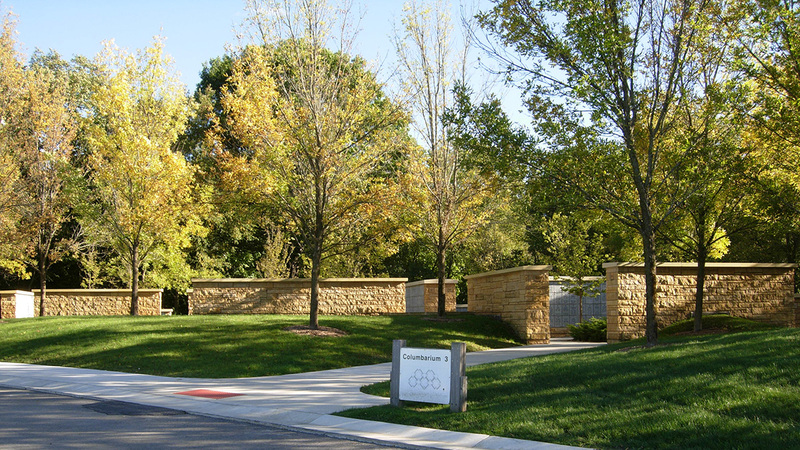 In 1999 Harry Weese Associates architects and Joe Karr and Associates landscape architects collaborated on the cemetery master plan, with Karr as the project lead. 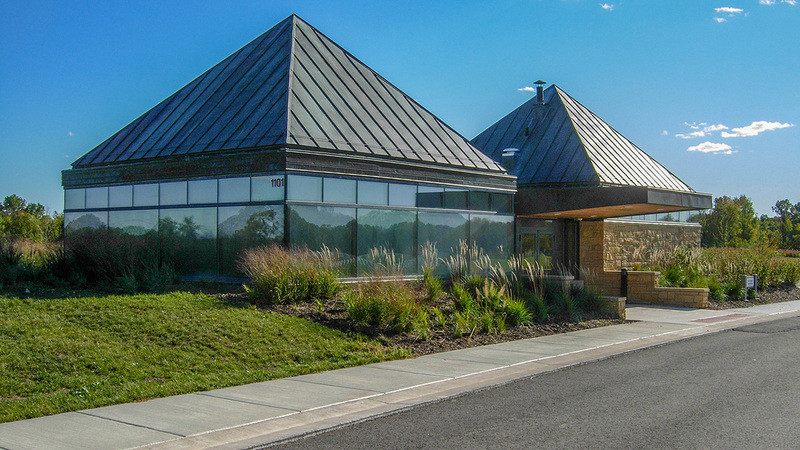 They carefully considered the site’s topography and natural features, integrating Hoff Woods, the oldest remaining virgin woods in Illinois, into their design. A circulation system of pleasure drives and walkways connecting various buildings and grave plots was laid out to accommodate existing mature oaks. 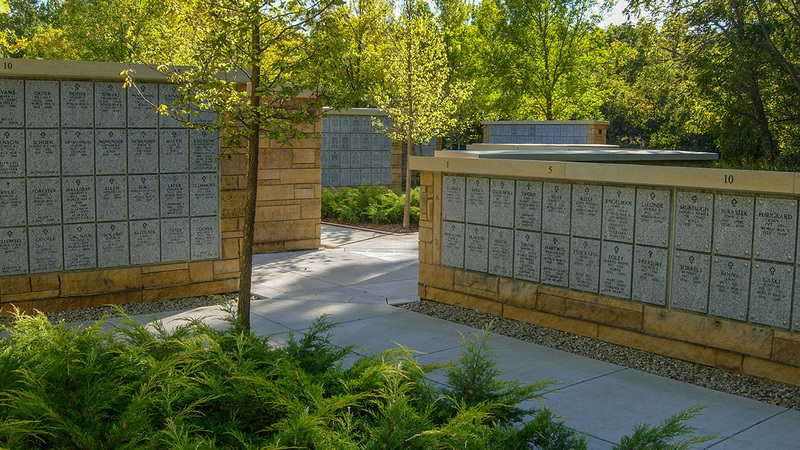 A series of seven columbaria line the westernmost paths, and five committal shelters in the site’s northwest area enable multiple burial ceremonies to occur simultaneously. An extant thoroughfare, Diagonal Road, once the primary pioneer route from Chicago to Springfield, was retained, and a small pioneer burial ground was also preserved. Projected to be a four-phase project over as many decades, the cemetery will provide 400,000 burial spaces when complete. Once the original team completed the first phase of the project, SmithGroupJJR was hired to lead the multidisciplinary phase II team, whose work included the implementation of a comprehensive stormwater management system and the reintroduction of more than 30 acres of native prairie plantings to connect with the nearby MNTP. 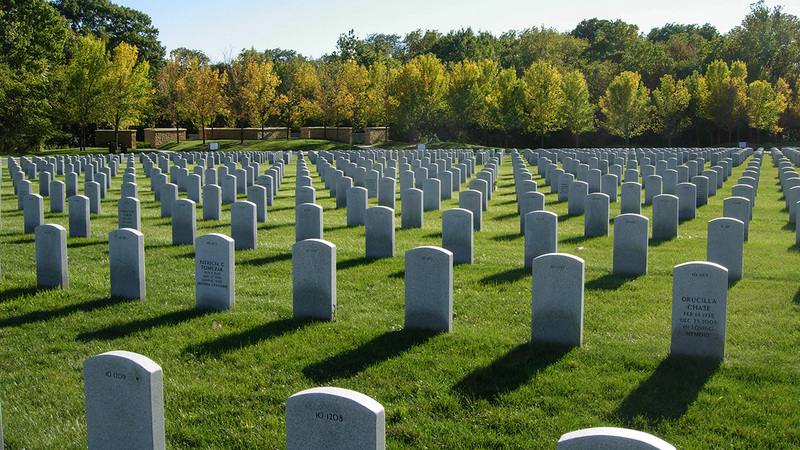 In 2015 Abraham Lincoln National Cemetery became the first cemetery to house a federally approved monument in honor of LGBTQ veterans.